Galaxy ii s Samsung Free Hand On - The Galaxy S II is available from Optus from $42 per month ($19 cap + $23 for the handset over 24 months) and Vodafone from $44 per month ($29 cap + $15 handset over 24 months). Telstra has confirmed that it will offer the phone in July. It’s available for $899 outright but I’ve seen it around for $750-ish. 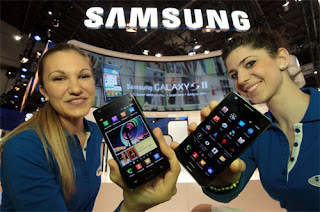 Open the box and the Samsung Galaxy S II makes a great first impression. It’s only a year since the Australian launch of the original Samsung Galaxy S, but the world of mobile gadgets changes so quickly that it feels like a lifetime. At the time the Galaxy S was fighting it out with the HTC Desire for the title of “flagship Android phone”. Both were impressive devices which raised the bar for Android, but in the end I awarded the fight to the HTC Desire - in a points decision rather than a knockout. I favoured HTC’s Sense UI interface enhancements, plus I couldn’t stand the strong blue tinge of the Galaxy S’ Super AMOLED display. Twelve months later and the two Android superpowers are battling again. HTC has a few options on the table and I was quite impressed with the 4.3-inch HTC Desire HD. Even so, the new Samsung Galaxy S II is breathtaking and I certainly wouldn’t buy either without considering the other. 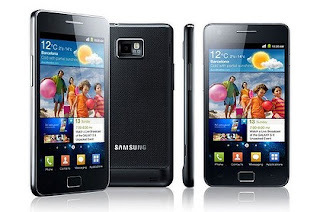 Screen technologies have always been a key weapon in the smartphone wars, and here the Galaxy S II doesn’t disappoint. It sports a 480x800, 4.3-inch Super AMOLED Plus display. It’s a big sucker, as you’d expect from any 4.3-inch phone, but the device is still amazingly light (116gm) and thin (8.49mm). It certainly doesn’t feel as chunky as competing 4+ inch phones, actually it’s slightly thinner and lighter than its predecessor. 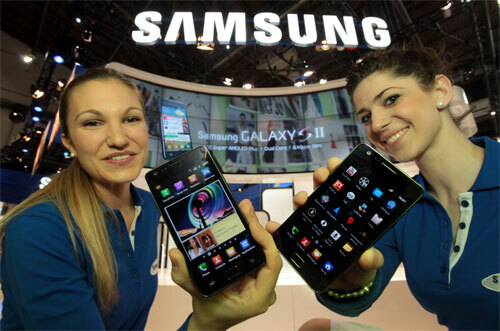 In fact the Galaxy S II is so thin and light that your second thought. At 4.3-inches it’s a bigger display than the original 4-inch Galaxy S, although it still sports the same 480x800 resolution. This is because Super AMOLED Plus boosts the number of sub-pixels, to improve picture quality at the expense of pixel density. The Super AMOLED Plus supposedly brighter and more energy efficient than the Super AMOLED display found on the original Galaxy S. I can’t attest to that because I don’t have the original Galaxy S at hand, but the blue tinge has certainly improved compared to original. The screen stil isn’t as bright as my iPhone 4, nor are the whites as white, something I also said about the Desire HD. The Galaxy S II’s colours are certainly more vibrant than the Desire HD, which utilises a slightly washed-out LCD display. 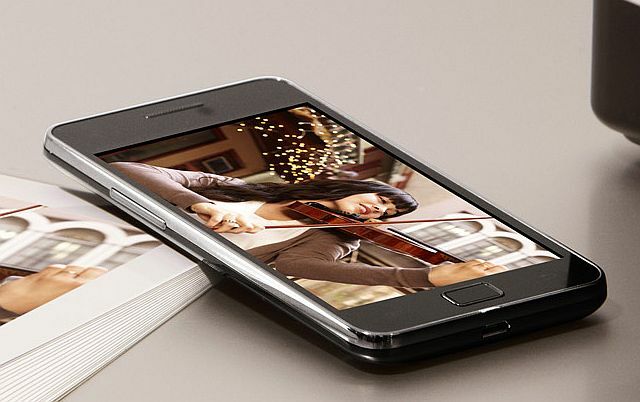 The Galaxy S II also offers excellent contrast and viewing angles. The screen is so glossy that outdoor glare is an issue, but the very bright display helps compensate.